A recommendation for someone with bad back pain on a Tempurpedic mattress. Home → Pain → Back Pain → A recommendation for someone with bad back pain on a Tempurpedic mattress. I am a 74 year old man. I have already had a few spinal fusions and anticipate needing a few more. I am 5′ 8″ and 168 lbs. My wife is 5′ 3″ and weighs 120 lbs. We currently have a Tempurpedic mattress that is causing me additional back pain. I’ve been doing some research and am considering buying one of the following mattress. The hotel mattress from the Ritz Carlton. The hotel mattress from the Marriott, which is owned by the Ritz Carlton, but uses a less expensive mattress. Also, the Axel Bloom system with their adjustable bed. My friend has one and he loves it. 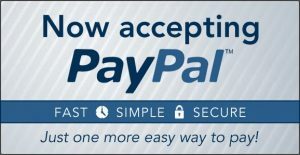 Which of these would you recommend for me? Researching all this was easier than I expected. The Ritz is using a Stearns & Foster mattress, while the Marriott is using a Sealy Posturepedic. Sealy bought S&F many years ago, and Tempurpedic bought them both, in 1013. S&F had been considered the Cadillac of the industry for many decades….while Sealy Posturepedic was more like a Chevy. We used to be a Sealy/S&F retailer…from 2002, when we opened our store in NJ, until 2014, when we saw that both lines were loaded with Tempurpedic’s memory foam. What used to be among the best mattresses in their respective price points, are now not worth buying…or for me, selling. They are what I consider to be, sub-standard in quality. While they seem to be the best of the three, I wouldn’t recommend the Axel Bloom, either….not for someone who’s disc and spine problems are as bad as yours. They use, what appears to be, an upgraded poly foam. 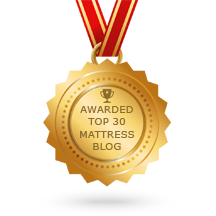 Among the foam mattresses, all natural Latex is the best and has been for the last 100 years. Memory foam is the worst. Poly foam is much better than memory foam, but not as good as Latex. But, with a back like yours, I don’t even recommend the latex. While latex is the most resilient of all the foams, all foam mattresses have one thing in common…no push back support. A back with disc problems…not even as bad as yours, requires the push back support of an innerspring mattress. For this, I prefer the pre-compressed, individually pocketed coil system of the Simmons Beautyrest or the Natura Greenspring. Each company produces the same type of coil system…with the Natura Greenspring being the stronger of the two. The individually pocketed coils contour to the shape of your body, maintaining the spine’s natural alignment. Sealy and S&F use a pocketed coil, as well. The difference is that the coil and the pocket are the same height. The coils aren’t pre-compressed. Simmons and Natura use a 9″ coil that is compressed into a 7″ pocket…providing that “Push Back” support against your spine that the other brands don’t have. Simmons uses raw steel. The coils are not tempered. Natura uses a twice tempered steel coil, which makes it far more resilient. Simmons’ primary upholstery is memory foam. Natura’s primary upholstery is natural Talalay latex. Because the components of the Natura Greenspring are much higher in quality, they tend to be firmer than their descriptions imply. My wife and I, at about 225 lbs each, have the Natura Greenspring Liberty Ultra Plush. But because my wife has a sensitive hip, we added a soft latex topper to it. In other words, the “Ultra Plush” model was much firmer than it sounded. 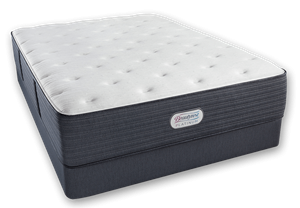 Since your back is much worse than mine, which isn’t good, The Natura Greenspring in Ultra Plush is the mattress I would recommend. I wouldn’t be surprised to hear you say that it was too form for you and your wife.If that is the case, simply add an EverEden all natural 2″ Soft Talalay Latex Topper…like we did. Regardless of what you buy, or where, I do not recommend any of the three you asked about.You can use any of today’s mattresses with an adjustable bed base. There are plenty of adjustable bed bases available at a reasonable price. The slatted construction of the Axel Bloom adjustable bed is fine…but not really any better than most other brands. In other words, when it comes to the adjustable bed base, there’s no need to spend a lot when you can spend much less. The end result is basically the same. Ask your orthopedic surgeon about the importance of maintaining your spine’s natural alignment.